Make It Work is a community working to advance economic security for women, men, and families by shifting the national conversation around work. They're speaking up and seeking new solutions because they believe no one should have to choose between family and earning a living in 2015. 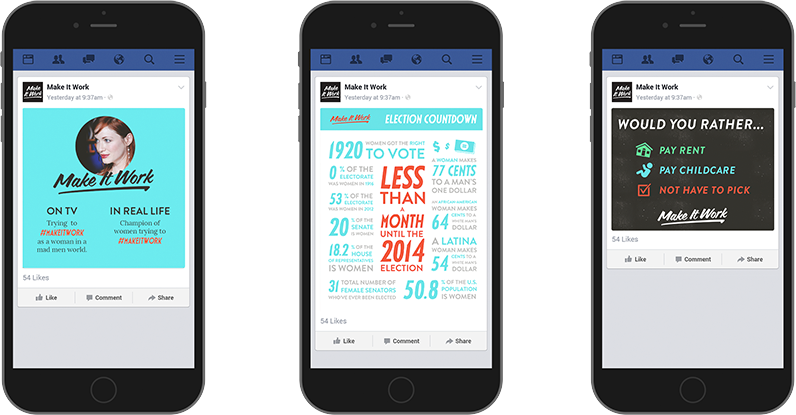 270 partnered with Make It Work in the months leading up to the organization’s launch in June of 2014. 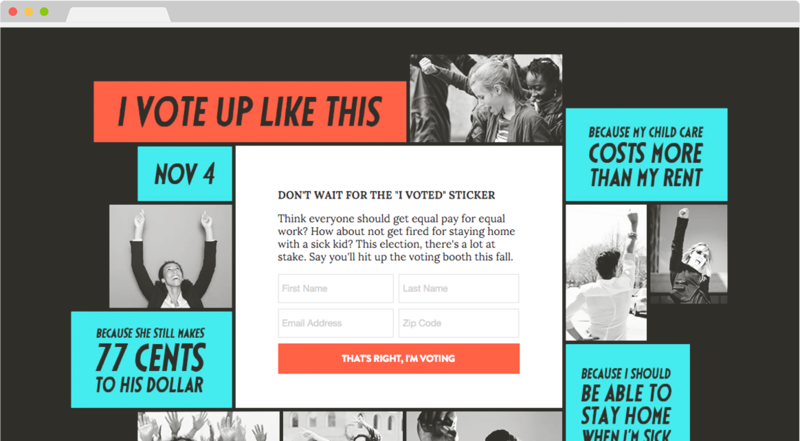 We helped the Make It Work team design and implement an integrated strategy, both online and offline, focused on passing fairer workplace policies at the state and national level — including equal pay for equal work, raising the minimum wage, paid sick days, affordable childcare, and maternity and paternity leave. We also worked with them to develop a strategy for a powerful field program in targeted states. 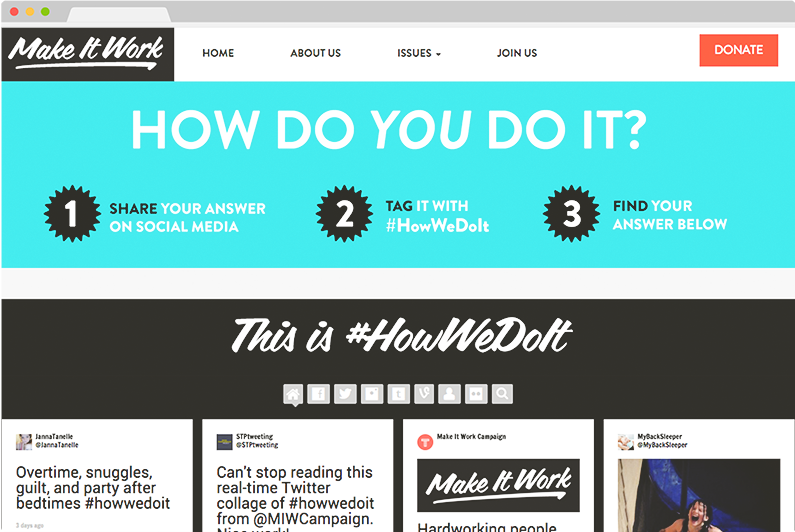 270 Strategies helped launch Make It Work, including designing and developing their website. We ran their email program and advised on social media, digital ads strategy, and grassroots organizing efforts. 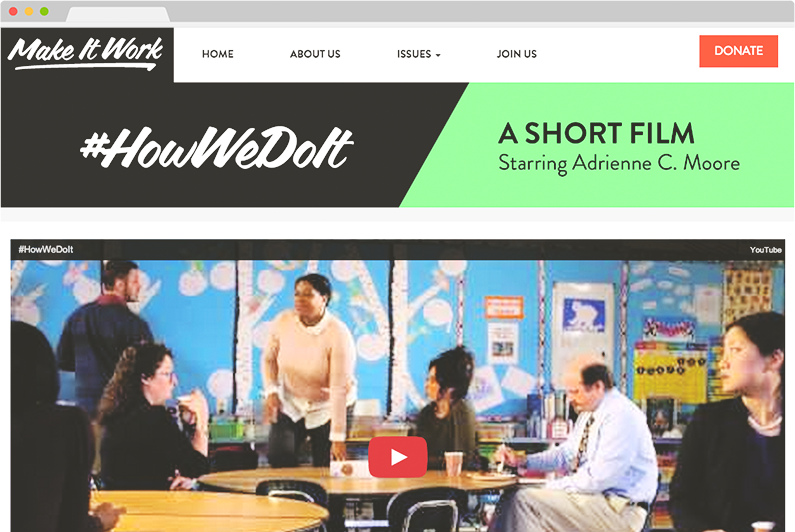 Thanks to an ambitious online acquisition program, Make It Work is now a community of more than a hundred thousand people who are ready to take action on the issues that affect working families. They’ve doubled the average Twitter impressions and grown their Facebook audience to more than 40,000 fans.